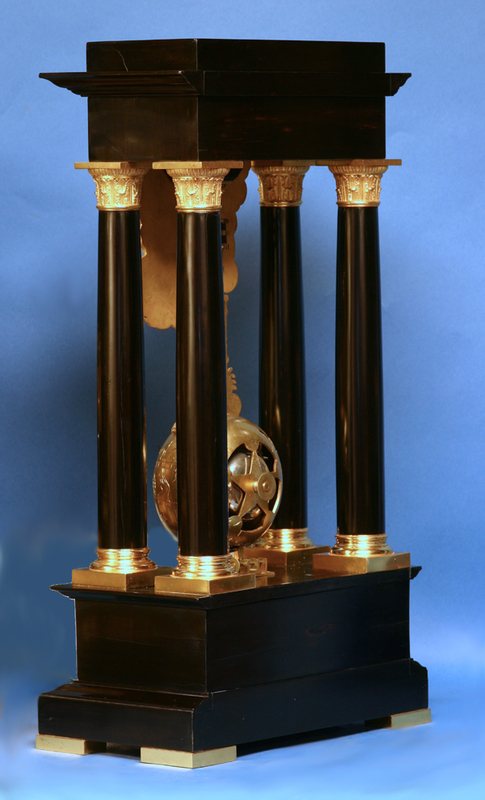 c.1865 French Gilt-Bronze and Ebonized Inverted Swinging Portico Clock. 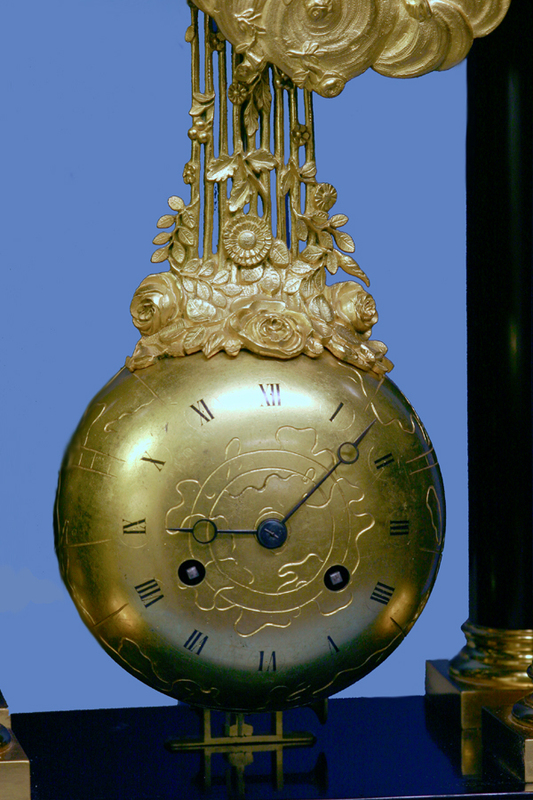 The dial is located on the front of the cast, gilt-bronze globe and has Roman numerals for the hours and steel-cut Breguet-style hands. 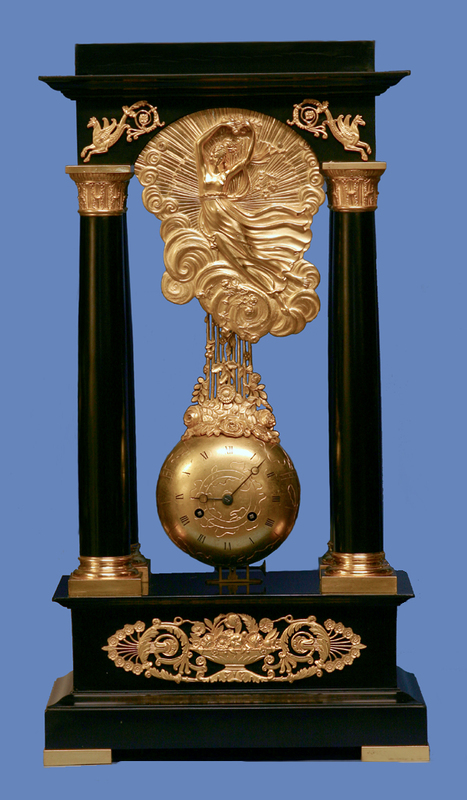 The clock is housed in the decorative cast pendulum that is suspended from the back of the large decorative plaque by an adjustable steel suspension. 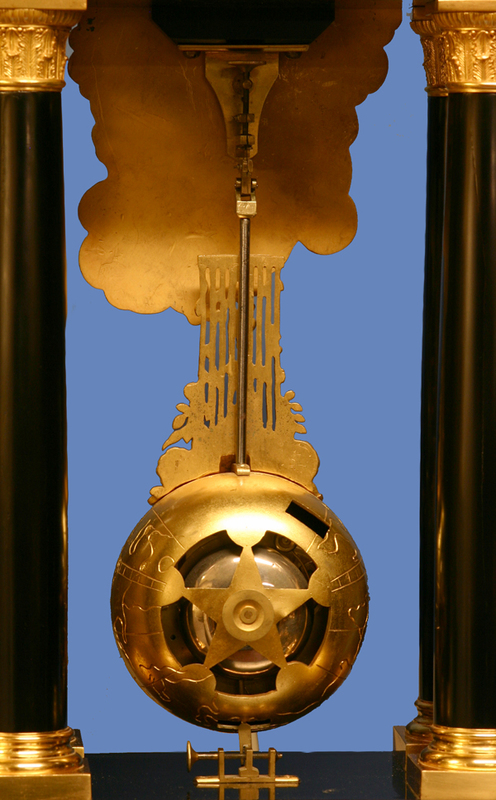 The eight-day two-train movement strikes on a bell mounted to the back of the case. 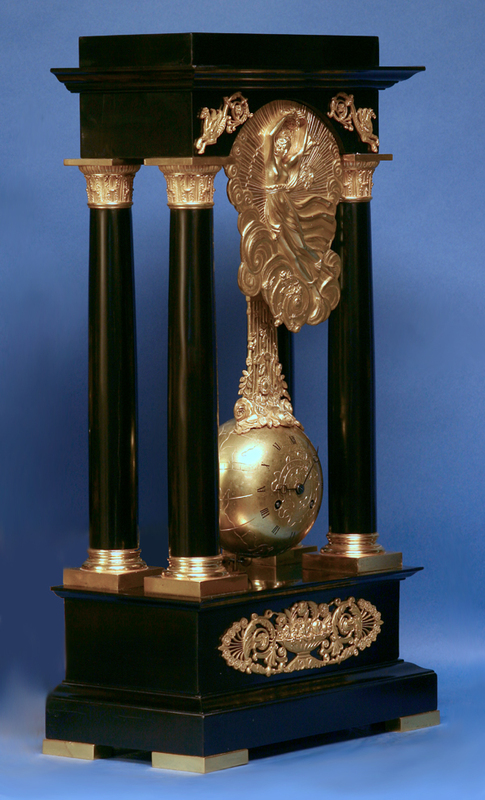 It is mounted within the globe and has a crutch that engages a screwed pin below. The fast/slow is adjusted at the top by a large knurled nut.